Welcome to the first article in a series designed to help ensure you are maximizing your chamber benefits. For the first article, we thought it was fitting to talk about the Member Hub Portal – the point of access to all your online benefits and information. The Member Hub Portal can be accessed at www.wilkes-barre.org/login/. If you do not have your username and password or have not yet set up your Greater Wilkes-Barre Chamber membership account, contact Ben Eaton at ben.eaton@wilkes-barre.org. Once you login you will be greeted with something similar to the image below. This is the homepage of the Member Hub Portal and your access point to a variety of member benefits. The homepage contains Shortcuts (1), Links to Wilkes-Barre Connect (2), Social Feed (3), Member Profile (4), Upcoming Events (5), Home (6), Directory (7), Events (8), Resources (9), Reports (10), News (11), Settings (12), and Profile Picture (13). The Shortcuts section contains links to access personal information, company information, Hot Deals, Member to Member Deals, news releases, job postings, and request for proposals. Personal information is information about you, such as your username and password, job title, profile picture, etc. Any updates or changes to personal information can be done through the "Personal Information" link. Company Information is information about the company you work for. Any updates or changes to company information can be done through the "Company Information" link. Hot Deals are discounts and deals for the general public. You can view the available Hot Deals or post your own through the "Hot Deals" link. Member to Member Deals are discounts and deals from other Greater Wilkes-Barre Chamber members that you can take advantage of for being a Greater Wilkes-Barre Chamber member. You can post your own Member to Member Deal or view available ones by clicking on the "Member to Member Deals" link. News releases are where all press releases or news posts from our members go. Click on "News Releases" to submit your own and view the latest news going on from our members in the area. Greater Wilkes-Barre Chamber members are encouraged to post any open positions in our job bank. Clicking on "Job Postings" will allow you to submit job postings (unlimited amount of postings included in membership price) and manage current listings. Request for proposals (RFP) allows our members to request and bid on proposals for other members. Click on "Request for Proposals" to submit your own RFP or bid on ones from other members. The Wilkes-Barre Connect program, powered by the Greater Wilkes-Barre Chamber of Business & Industry, aligns you and your business with appropriate providers, services, and locations to help you start, grow, and expand your business. Links to information, an intake form for those interested in going through the Wilkes-Barre Connect service, and the five areas of focus Wilkes-Barre Connect programs are built around can be found here. This area allows you to post links, photos, videos, and posts to share with the rest of the members. You can also read posts from other members within this section. This area shows the percentage of the company profile that is filled out. You can see what areas are missing by clicking the update button in this section. To increase the number of people viewing your company profile and to showcase what your company has to offer, this should be at 100% or near it. This area will show information on the next chamber event. Clicking on the event will open a page will more information on the event, as well as allowing you to register for the event. Clicking the "See More" button in this section brings up the calendar to see all upcoming events. This button will take you back to the Member Hub Portal home page from any page within the Member Hub. This button allows you to access the online business directory of all our members. This directory is also viewable to the public on the website outside the Member Hub area. This is a quick way to look up other members' information. This button will direct you to the community calendar where you can see all posted events, add your own events, manage your own events, and register for other events within the community. 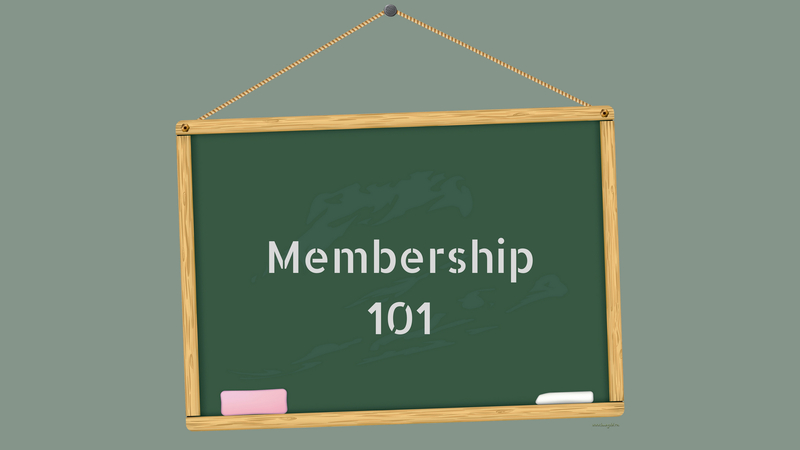 This section allows you to see the resources available to all members such as nomination forms, general membership information, etc. This section allows you to see how your online listings are doing on our site. Banner ads, hot deals, and job postings clicks are all available to see in this section at any time. Increase the impact of your membership by creating news, adding a Hot Deal or Job Posting, etc. and see the results of it here. This section allows you to see an overview of what new has been posted by yourself or other members. It will tell you how many Hot Deals, Member to Member Deals, News Releases, Job Postings, and Requests for Proposals are available to see. This button will allow you to update any personal and company information tied to your account. You can also access billing information from here. Your profile picture will display here. This photo will also be used in the social feed or if someone looks up your profile in the directory. You can adjust this photo at any time under the personal information tab. The Account Settings drop down box also has links to your personal information, company information, billing information, help on updating your personal information and company information, and an option to log out.